IWTYAL 179: Can you become fluent only by listening? No, you can't become fluent only by listening. Olly: Good morning, everybody. Welcome back to the I Will Teach You a Language podcast. Thanks very much for joining me today. I’ve got a question for you: What skill — speaking, listening, reading, writing — would you say you spend the most time on at the moment in your language study? Is there just one? Or, is it all a big mix? Now, imagine you could only choose one skill to work on for the next year. Which one would it be? Interesting question, right? Before we get into that in more depth, I’d like to thank the sponsors of the show. The best place for you to practice the skill that everybody thinks most about, which is of course, speaking. 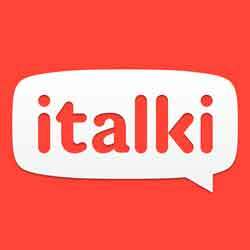 And it’s italki. It’s the name of the sponsor, it’s a fantastic company where you can get professional language teachers at the most convenient time for you, whether it’s 5:00 AM, 5:00 PM, or even half-past-twelve in the afternoon. You can get a free lesson, in fact a $10 worth of free credit when you sign up by going to iwillteachyoualanguage.com/freelesson. All right. Very interesting question today. Let’s hear it. Speaker 2: Hey, Olly. It’s me, Balan, from Kurdistan, Middle East. And, I want to thank you for doing what you do, because what you’re doing is really, really great. And today I’ve got a question for you. Is it really possible to become fluent in any language just by listening? Because, I have heard somewhere from some teachers that it is possible to become fluent in any language just by listening. So, I just want some of your thoughts on that. And, thank you. Keep up your great job. Olly: Hey, Balan. Thank you for a very cool question. Right, well, I’m going to start off by saying, “No. It’s not possible to become fluent just by listening.” Because let’s think about what that means for a second. Becoming fluent is about speaking. It’s about being able to speak fluently. Now, yes, you have to be able to understand, and you have to be able to listen. But, fluency, spoken fluency is all about exactly that. It’s speaking. And there are so many micro skills associated with speaking that have nothing to do with listening, that the idea that you can only listen to a language and then suddenly one day become fluent, you know, it’s crazy. It doesn’t make any sense. Now, that’s not to say that listening is not extremely important. In fact, it’s not even to say that listening is not the most important skill. And, actually for me, these days the more time I spend doing this language-learning thing the more time I spend listening. More than anything else, actually. In fact, I think listening is the ultimate skill. Because, by listening you learn. If you can understand stuff, then you can then have access to that stuff you learn in your speaking. So, listening is hugely important. And, I think a lot of people — and I’ve been guilty of this in the past myself — a lot of people who are kind of rapid language learners, if you like, people that go out there and learn languages quickly, or learn a lot of languages, they can be guilty of learning to speak but not necessarily do much else. You know, it’s very possible to memorise a bunch of stuff, a bunch of words and phrases that you can use to say quite a lot, but actually when you sit down to have a proper conversation with someone in the language, you may be not able to do — you know, you don’t understand anything. And that, of course, comes from a neglect of listening. So, listening is super important. But again, the idea that you can become fluent just by listening is crazy. I mean, consider for a moment what it would be like to learn a language for a few years, and you’re sat there, and you’re just listening every day, and then all of a sudden having done nothing but listen for years, you walk up to someone on the street and you have to have a meaningful conversation with them. What’s going to come out of your mouth? You know, is it going to be coherent? Is it going to be fluid? Are you going to be confident? Are you going to be able to pronounce the words properly, given that you’re pronouncing them for the first time? Of course not. It’s going to be — I think the question is kind of a red herring in a way. Because — it’s an interesting theoretical problem, but it’s also not very practical, because, you know, why would you not speak? Why would you not write? Why would you not read books? You know, why would you not do these things if you’ve got to a good point in your listening? So, I think it’s an interesting question, but not really viable as a language learning strategy, should we say. But, there’s a bunch of interesting related topics that this throws up. So, I’m going to go through a few of these now, because it might be interesting to consider these in light of the question, and in light of my opinion that I’ve just given here. So, let’s start with the silent period. You may be familiar with this. It’s a stage that’s commonly thought of in second language acquisition, where you would go for a certain amount of time without speaking, or without attempting to speak. And the reason is that you’re kind of listening, and you’re trying to make sense of the language, and you don’t feel any particular need to speak. This is most evident in children, obviously, who you don’t put under any pressure to speak, necessarily. They can listen for a long time, and just kind of build their knowledge from listening. It’s how babies learn. It’s how — if you imagine a — you know, I had a friend who moved to the UK, joined my school when he was, like, 14. I remember in the first year he didn’t say a word. But, in the second year he was already, like, chatting away with everybody. But, it was also a gradual thing. It didn’t happen — he didn’t suddenly start speaking one day. The hypothesis is that, you know, as a learner you’re building up all this language competence during your silent period through really intently listening, processing the language. And, that all this processing goes on in your head. But really, it’s nothing more than a concept, and it’s very difficult to apply this anywhere else. When you think about the case of children learning their first language, people so often — I’m always surprised when people say, you know, “Kids have got the most amazing gift for languages. They just soak everything up.” But, anyone who has spent a lot of time with kids will understand, will know that that’s just simply not the case. You know, babies will listen to their parents talking to them for years. But yet, how many years of trying does it take a child to actually learn to speak coherently and cohesively in their first language? You know, even a sort of nine- or ten-year-old is only halfway there, aren’t they? So, again, the idea of simply listening results in fluency just doesn’t stack up. Now, lots of people tell me, and write comments saying, “I became fluent in English just by watching TV. Therefore, watching TV is the best way to learn a language.” That may be true. That may have been their main method of learning English just by listening to the TV for years and years and years. But, the point is, how long did it take you? Often, these people will listen — like, in Scandinavia where all these foreign shows are dubbed into English — or, rather they are in English, because that’s how they were produced, right? Again, kids will listen to, and watch TV, in English for years and years and years. The thing is, behind Balan’s question, and what we want to know as adult language learners really is: what’s the faster way? You know, none of us have the time or the inclination to do what a teenager might do, and just binge-watch 10 years of Japanese drama to learn Japanese. Well, you know, that’s not an efficient way of doing things. It might be effective, but who’s got 10 years to learn a language? You can do it much quicker than that. You could also think about immigrants in the country that you live. How many of them learn to speak perfect fluent English? And, how long does it take them? And, how much speaking do they do, as well, despite being surrounded by the language that they’re — you know, their second language on a daily basis? In virtually any practical situation it simply doesn’t stack up. But, as I said before, listening is probably the most important skill. So, while it’s kind of probably a little bit silly to talk about becoming fluent by listening, you know, like I said earlier, I find myself spending more and more time working on it. And I find that especially with more difficult languages. You know, I’m having to spend a lot more time listening in Cantonese than I ever did with French, for example, because there’s just so much more I don’t know. And, when it comes to speaking, like, I find all this all the time when I’m speaking Cantonese, when it comes to speaking there’s all these different — these problematic points where I don’t know how to express something. Like, I come to say something, and I have a total block. I draw a total blank, because I just don’t know the best way to express that thing in Cantonese. And, the way to learn how to do that is by listening to more of it, so that you get used to these different ways of learning, of speaking. And, I think the last thing I want to say is that there are different kinds of listening. One of the things I found myself saying a lot recently is, that if you listen to, like, a foreign language in the background, you know, in the car, or whilst you’re cooking, or with the TV on whilst you’re doing the ironing, you know, I think — and this is contentious perhaps, but I think you are basically wasting your time. You know, I’ve done that a lot in the past, and I don’t think there’s any tangible learning from that whatsoever. It’s hard work. You know, listening actively is really, really hard work. In fact, in the Fluent Spanish Academy we just had a training on this. We’re doing this in this month’s challenge is all about actively listening and learning and perfecting the past tense in Spanish through active listening. It’s really, really hard. And so, you know, if you did spend years doing nothing but active listening, and you were genuinely actively listening and really paying your full attention to the language, you will get very, very far. You will learn a lot of stuff. You won’t be fluent, but you will be in a very, very good place. So, I’m not sure if that was what you wanted to hear, Balan, but those are my thoughts on the topic anyway, becoming fluent only by listening. If you would like to ask me a question, please go to iwillteachyoualanguage.com/ask. And likewise, if you have had any value from this podcast, if you’ve been enjoying it, I would super, much, well appreciate a review on iTunes. It helps other people find the show, and it would mean a lot to me. If you’d like to help me out with a review then you can go to iTunes, simply search for the I Will Teach You a Language podcast, and you can leave a star rating and review there. I’d very much appreciate that. Now, at the end of every episode I like to leave you the resource on the topic of the show, and I mentioned earlier on the ‘silent period’ in language acquisition. And I found a really good article from a blog I haven’t heard of before, I’m not sure if it’s even active anymore. Ana Lomba is the writer, and she’s written an article called The Silent Period in Language Acquisition: Truth or Myth? If you’d like to find out more about this I recommend looking at that article, because it’s a very good summary of what the silent period is, or isn’t. You can find the link to that along with everything else we’ve talked about today, and full transcripts, by going to iwillteachyoualanguage.com/episode179. Thank you very much for listening, and I’ll see you in the next episode of the podcast.